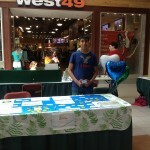 Harnoor Gill is a 16-year-old from Georgetown, Canada, with a passion for volunteering. He was born in Hong Kong to Indian parents, but has lived in Canada most of his life. Harnoor stresses that he couldn’t be where he is now without his parents, who have always supported and encouraged his desire to make a difference in the world, especially after he started having problems with bullying in elementary school. He has donated over 2,000 volunteer hours with over 20 organizations. For him, volunteering proved to be an excellent way to deal with bullying, because it allowed him to develop his skills and interests, while also making friends with similar concerns. Harnoor is especially passionate about environmental issues. He became interested in when he first volunteered at a local distressed park in his community. While volunteering more than most people his age could ever imagine, Harnoor wanted to do more. So, in 2012, he founded the Peace Welcome Club to promote volunteer opportunities for newcomer immigrant youths, such as himself. He wanted to convince young people that age is not a barrier to volunteer. The Peace Welcome Club has many accomplishments. It has sent more than 10,000 textbooks to local communities, collected over 2,000 jeans to underprivileged youth in India and across the world. Each month they honor young person or youth group for helping the community. Harnoor has managed to gather an international team comprising dedicated people of all ages from Canada, Hong Kong, India and the United Arab Emirates. Apart from running his organization, Harnoor is also a journalist, writing for the Times of India, Indo-Canadian Voice, and The Asian Journal. He was drawn to writing “because I wanted to create a difference in the lives of newcomer youth and get them to volunteer in their communities.” He uses writing to raise awareness about topics ranging from Earth Day to lung cancer. 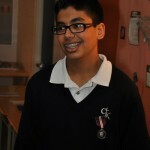 For his work, the young volunteer has won numerous accolades and awards, including receiving the Queen Diamond Jubilee Medal, honoring the significant local or international achievements of Canadians and the International Diana Award, spotlighting a young person who is acting as a positive role model. He was also recognized as one of the Canada’s 15 under 15. While Harnoor emphasizes that he doesn’t chase recognition, it encourages him to go an extra mile and reach out to even more people who are in need. As for his future plans, the young volunteer is determined to continue inspiring young people to volunteer through the Peace Welcome Club, serve humanity and give voice to youth issues worldwide.